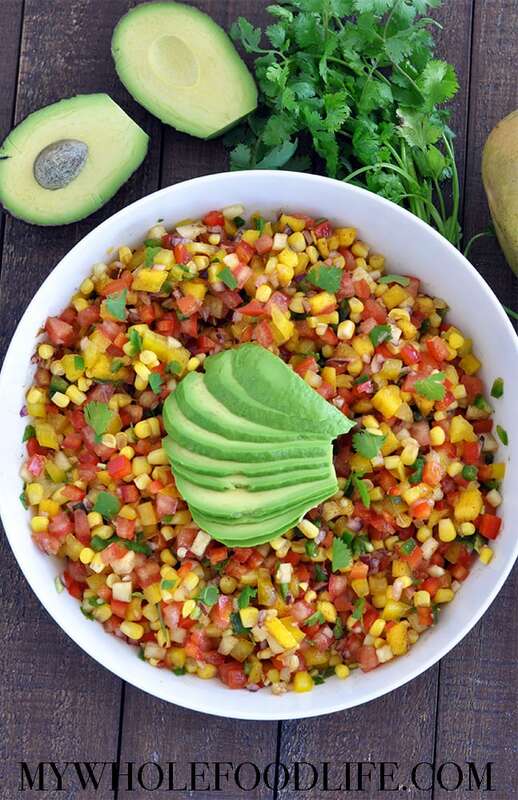 Pineapple Mango Salsa. Made healthy and vegan. On Saturday we picked up our co-op basket. Some weeks there isn’t much, but this week we hit the jackpot. It was time to make a pineapple mango salsa. 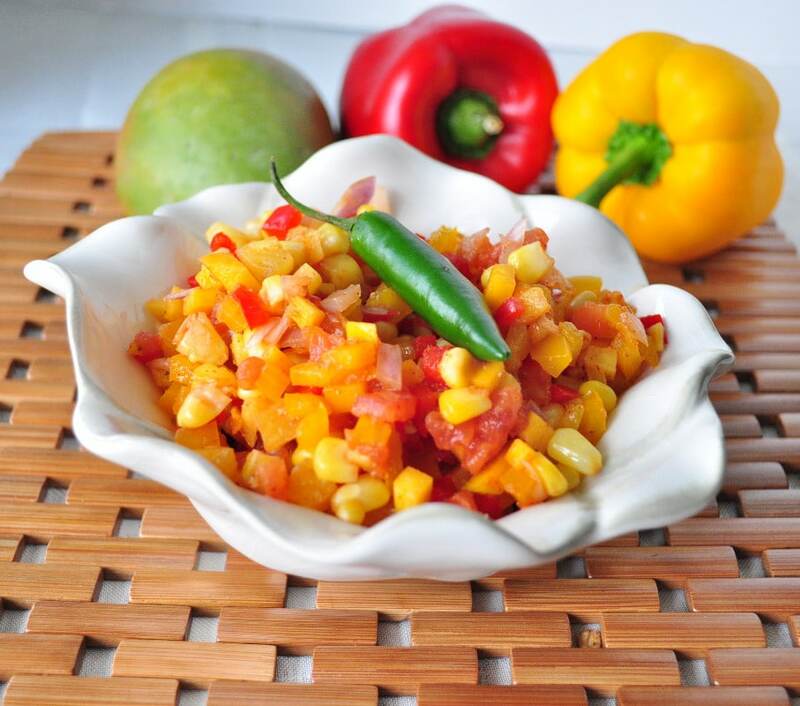 Here is another delicious mango salsa recipe. 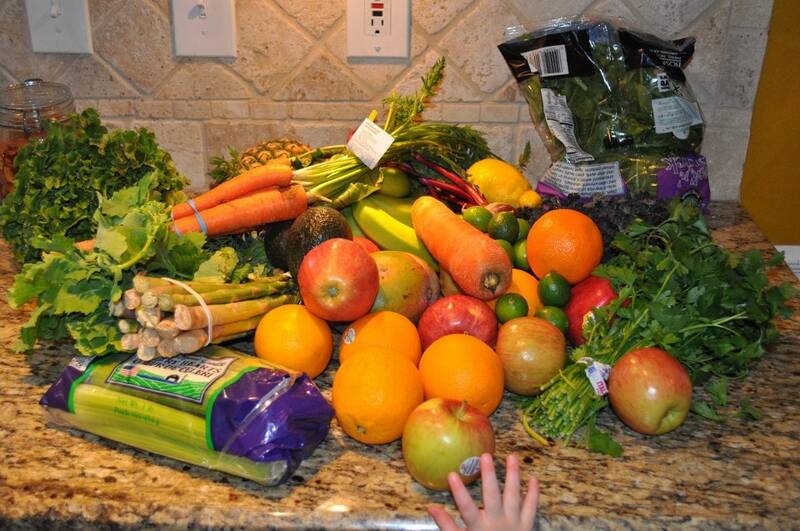 The little hand at the bottom trying to grab an apple is my 22 month old Olive. My three year old shrieked with delight when she saw the pineapple and the mango. The kid loves fruit. So immediately we decided to make Healthy Pineapple Salsa. This was another one of my husband’s creations. The photo was taken before we added the cilantro. We shot a short video for this recipe. You can view it below. For more recipes, you can subscribe to my You Tube Channel. Throw everything in a bowl and mix well. Then add it to black beans or your favorite protein and you have a handy little meal. It would also be great with my Healthy Corn Tortilla Chips . We got about 3 large servings out of ours. Enjoy! The salsa is beautiful. I saw your comment about "healthy corn tortilla chips". I use regular tortillas to make my chips. What is the health benefit from the brand you are using? Also, are 'regular' tortillas not good for you? Thanks. Glad you found me! We pick up our basket in East Plano. Works out great most weeks. This salsa is delicious! I served it with tilapia.